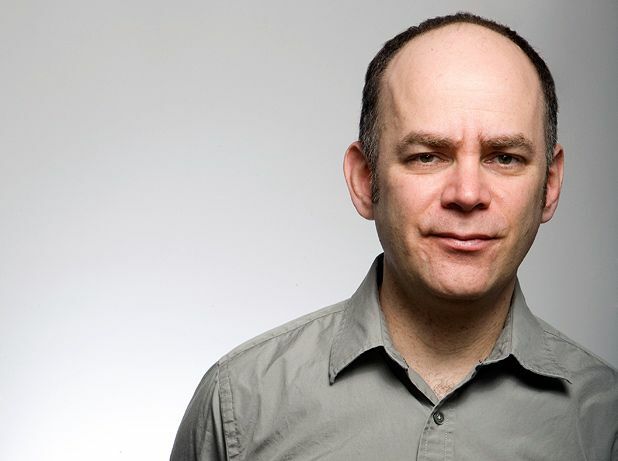 In a short pre-show filmed interview, Todd Barry notes that his first few dates in Edinburgh are likely to be detrimentally effected by jetlag. Given that the default setting for his delivery is among the most downbeat in stand-up history, it’s hard to know whether we’d notice any difference. The joke that he’s not giving his all for us is enhanced by the image of him silently sharing an ice lolly with his interrogator, before insisting that this film is included in the ‘hour’s comedy’. Thankfully, and unsurprisingly given his vast experience, what we are eventually treated to is 60 minutes (more or less) of expertly lo-fi semi-surrealist chatter. The laconic New Yorker skates over a reference to his debut Fringe appearance in 2004, by all accounts a calamity on all sides, hinting that it has taken him seven years to recover from a late-night spot in a too-big room exacerbated by low attendances and a lukewarm reaction. Many of the gags in the Barry armoury start off with a seemingly innocent or naïve remark that someone has made to him before he tears it apart strip by miniscule strip, unveiling the comedy through a withering put-down positively dripping with sarcasm. In the least successful, but inevitably longest passage of the show, he draws our attention to a page on how to treat a woman properly in the ‘feelgood’ issue of Esquire, which he mercilessly mocks, point by devastating point. It’s easy to picture Barry spending hours poring over magazines and newspapers looking for such arrant nonsense to rip into. Online deodorant reviews, real estate, Twitter and the Belgian penal system are all fair game for the comic’s invective. The rule to having a conversation with Todd Barry is watch what you’re saying. You may find it cropping up in a show, hopefully sooner than 2018. The Stand III & IV, 558 7272, until 28 Aug, 3pm, £10.